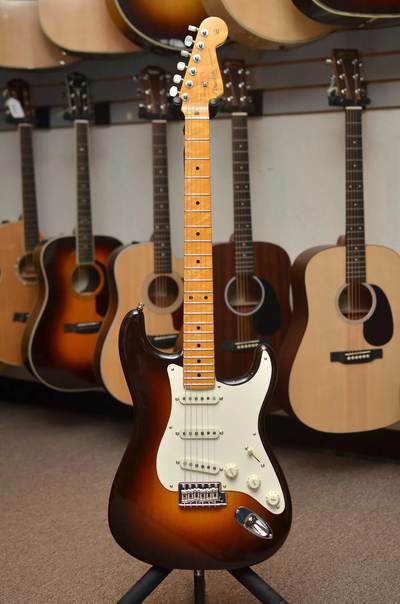 The Fender Custom Shop 2016 American Custom Stratocaster takes the quintessential Fender electric guitar and decks it out with knockout appointments that make it a dazzling performer. The lightweight ash body comes in Two-Color and Three-Color Chocolate Sunburst, Sage Green Metallic and HLE Gold lacquer finishes with an NOS treatment. 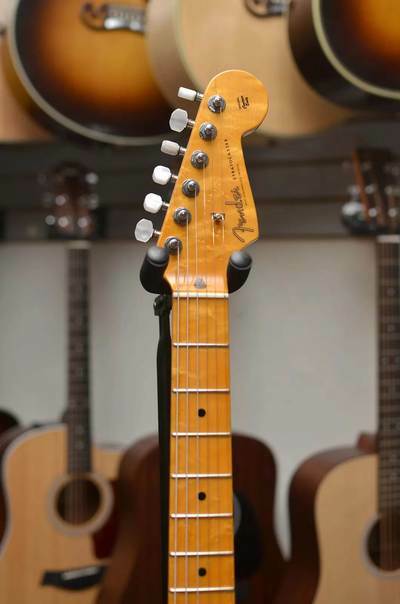 Singing Strat sparkle comes from a hand-wound ’69 Stratocaster single-coil neck and middle pickups (middle pickup is reverse wound/reverse polarity) and a hand-wound Texas Special single-coil bridge pickup. 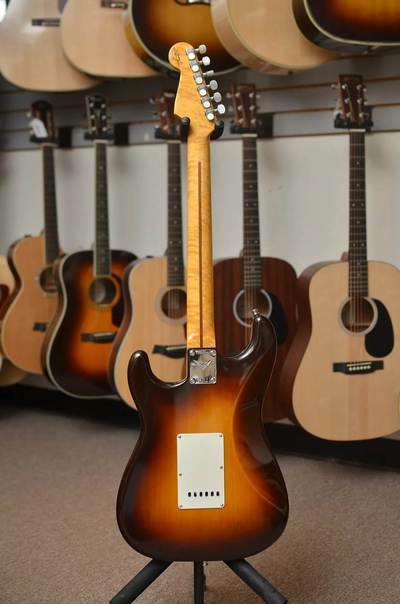 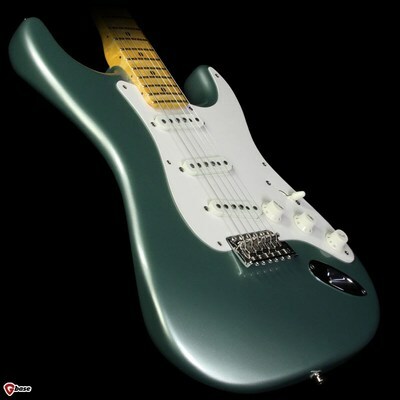 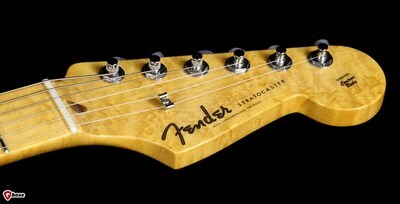 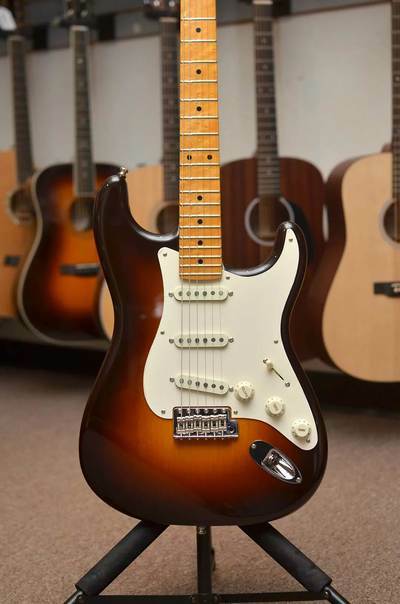 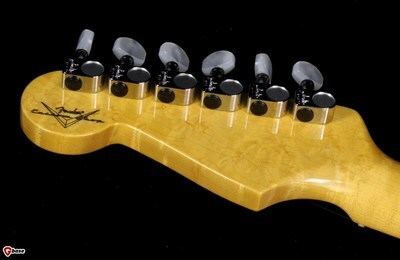 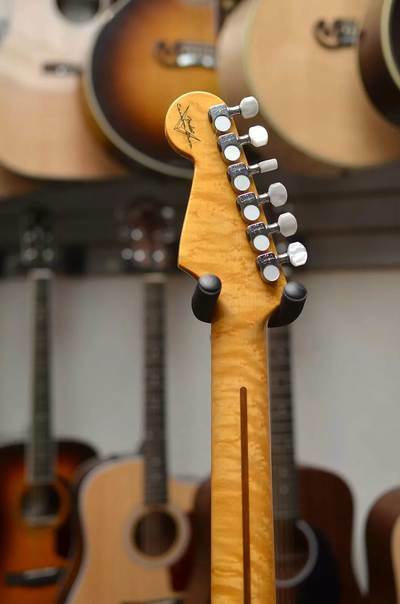 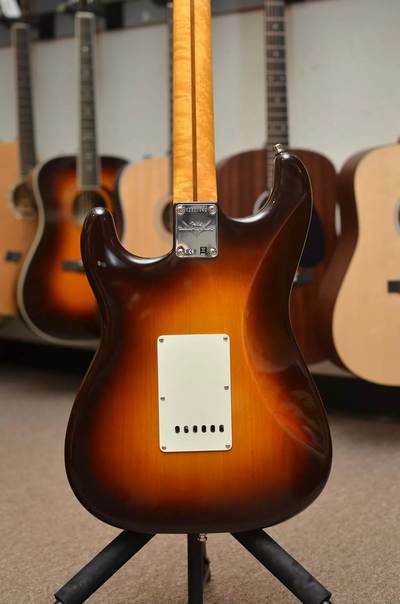 Other premium features include a tinted AAA birdseye maple neck with “large C” profile, fast compound-radius (9.5”-12”) fingerboard with a bone nut and 22 6105 frets, five-way pickup switching and modern wiring (master volume, master tone, blend), single-ply parchment pickguard, RSD Stratocaster bridge, and chrome tuners with pearl buttons. 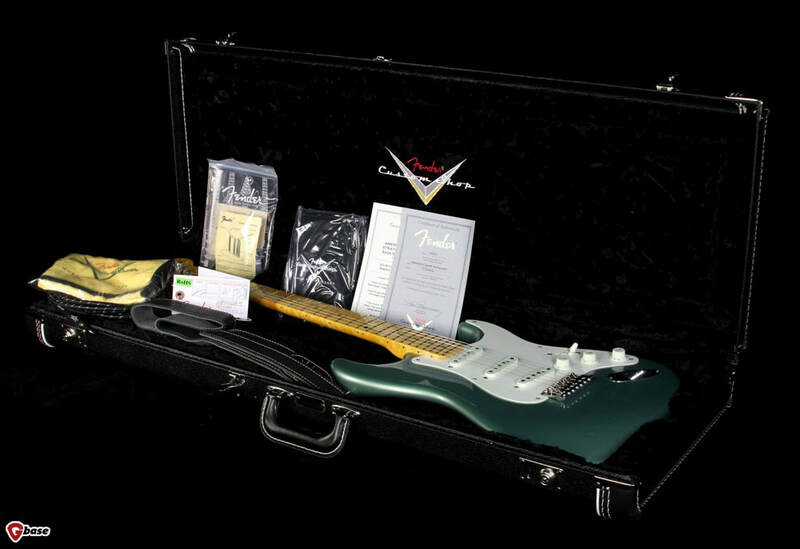 Includes black hard-shell case and Custom Shop certificate of authenticity.